An international study led by scientists at McGill reports, for the first time, that drugs that selectively target the melatonin MT2 receptor represent a novel class of analgesic drugs that could be used to treat patients with neuropathic pain. 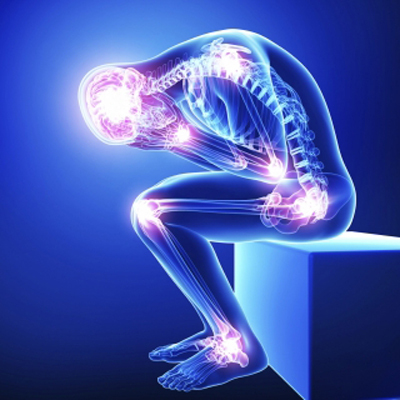 An estimated 7 per cent to 8 per cent of adults worldwide suffer from neuropathic pain, with 5 per cent of cases considered severe. The problem has significant economic implications, including reduced productivity and substantial health care costs. Melatonin, a neurohormone present in mammals, acts on the brain by activating two receptors called “MT1” and “MT2” that are responsible for regulating several functions including sleep, depression, anxiety and circadian rhythms. Now, a team led by Dr. Gabriella Gobbi, Associate Professor in the Department of Psychiatry of the Faculty of Medicine, has demonstrated that UCM924, a melatonin MT2 receptor drug, relieves chronic pain in animal models; the team has also identified the drug’s mechanism of action in the brain. UCM924, by activating the MT2 receptors in the periaqueductal grey (a brain area controlling pain), is able to switch off the neurons that trigger pain and switch on the ones that turn off pain The findings are reported in the February issue of the journal PAIN. Previous studies have shown that over-the-counter melatonin has very limited effect. Dr. Gobbi and her team demonstrated that this is because exogenous melatonin activates both MT1 and MT2 receptors, which have conflicting and opposite effects. In the course of their work to investigate the efficacy of MT2 receptor drugs for insomnia, the researchers discovered that UCM924 also soothes neuropathic pain at lower doses. This suggests that these drugs could offer relief both to people who suffer from pain during the day, using low doses, and from insomnia at night, using higher doses. At least 50-70 per cent of patients with neuropathic pain conditions complain of significant sleep disturbance, and this new study unveils how the mechanisms of pain and sleep are closely related.